We are officially releasing our 2005 Puccioni Old Vine Zinfandel on Dec 15th - but we have made it available to some of the people that have been so supportive of our little brand - and if you order a case by Jan 1st there is a savings available. Just clink on the link below if you want to take a look at our order form. We had a very nice Thanksgiving with Family and Friends yesterday and did a 2004 and 2005 tasting - they seemed to both do fine - but there was a preference with the 2005. Not sure how many of you hunt for wild mushrooms out there - let me know if you do - but it has been great to far this year. With the early rain and the warm fall weather - the bolete's have been plentiful. If you go, make sure you take somebody that knows what they are doing - it can be dangerous if you pick the wrong one. We hope all of you had a great Thanksgiving. It has been awhile since I updated our blog - two kids under two years old does seem to sap away any and all of your free time. Above is our oldest son Joshua - he may be ready to hook the mule up to this plow sooner than we thought. We have had a busy year - but it has been a very good year. We crushed almost 9 tons this year of Old Vine Zinfandel and Petite Sirah and barreled our wines down about a month ago. They are going through ML fermentation as we speak. The quality of the wine has been excellent - the year started out with a bang - we had a fairly warm heat spike in late Aug that got our fruit almost ripe and then it cooled down for a few weeks. We let our fruit hang through the cool period hoping to take advantage of extra flavor development the added hangtime can give - we were glad we did this and think it had very nice benefit. Now we are just getting the vyd ready for winter - it is important to get the grass growing and open all our drains - we want to be prepared for that first downpour - we are ready. 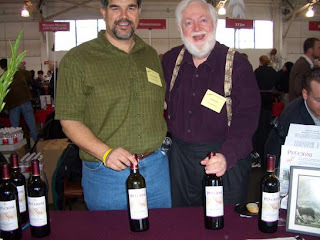 We are releasing our 2005 Old Vine Zinfandel on Dec 15th - we think this is our best wine yet. We will be a little more active in keeping our blog up to date. Wish everyone the happiest of turkey days. Our 1946 Willys Jeep - Bringing back to life! WOW!! Time does fly when you are having fun. It has been too long since we had a chance to write a post. But things are moving right along. This winter was a moderate with rain levels 50% of average in the Dry Creek Valley. Hopefully that will not be a problem - especially for us because we are virtually dry farmed. We finished pruning on the old vines and doing some replanting of misses on the young vines. We are just seeing bud break in the vineyard now ( that is when the bud begins to open) which is about normal. We have begun to mow our covercrops that we let grow over the winter - we use these to prevent erosion and add organic matter back into the soil - it makes a better vine. 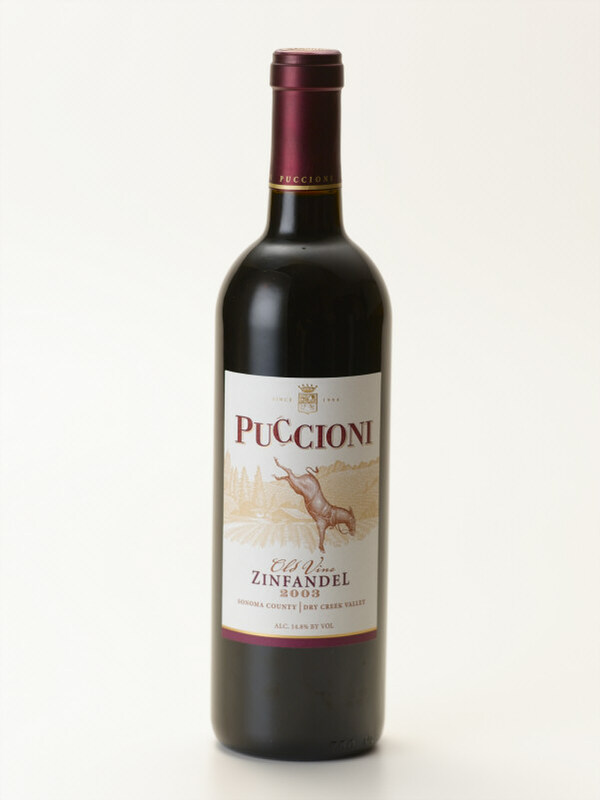 We are almost sold out of our 2004 Puccioni Old Vine Zin - we have had great response from our individual orders and have also placed our wine in some very nice accounts. We are getting ready to bottle our 2005 Old Vine Zin next month - we are very excited about this wine it is tasting very nice. Regarding our 2006 wines - we finished malo-lactic on them and have topped and racked them. Besides our Old Vine Zin in 2006 we will be doing a limited release Petite Sirah which we are very excited about. We know you will enjoy that. We have a Willys Jeep on the property that was driven by our grandfather everywhere he went and when visitors came to the vineyard he would use it to tour all his guests. It has been sitting idle for a few years - but we have decided to put some resources in it and bring it back to life. 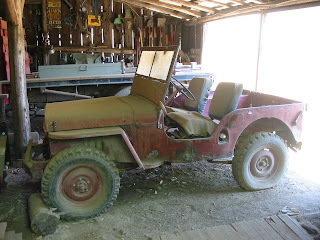 So I am reading all the articles I can find about refurbishing and rebuilding our Jeep. Above is a picture of it - you can see we have a little work to do.